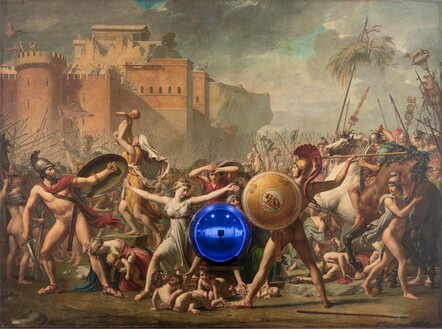 I like to think that when you leave the room, the art leaves the room. Art is about your own possibilities as a human being. It’s about your own excitement, your own potential, and what you can become. It affirms your existence. 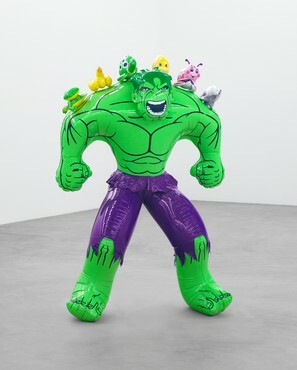 Gagosian is pleased to present an exhibition of recent and new work by Jeff Koons. 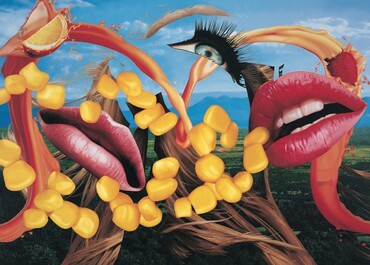 Making use of conceptual constructs including the ancient, the everyday, and the sublime, Koons creates luxurious icons and elaborate tableaux, which, beneath their captivating exteriors, engage the viewer in a metaphysical dialogue with cultural history. 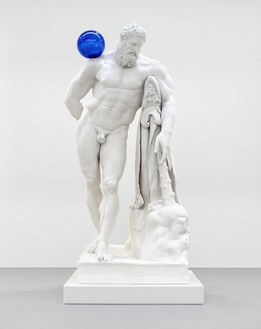 Koons draws attention to the continuity of images as they pass through time. 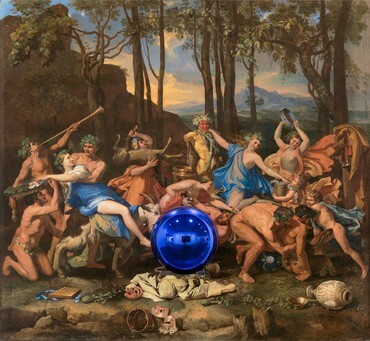 The Gazing Ball series is grounded in distinctive narratives and art-historical precedents—from ancient classical sculpture to Rubens and Manet. 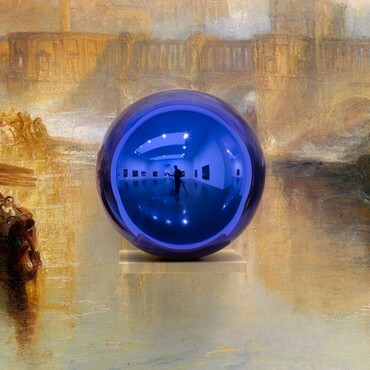 In each work, a blue mirrored, hand-blown glass gazing ball—a convention from eighteenth-century garden design—reflects its surroundings, uniting painting, sculpture, and architecture in order to multiply sensory experience. 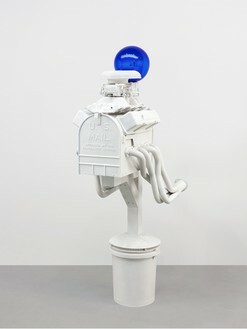 Balanced on the shoulder of Hercules, or introducing a dose of the surreal to the suburban harmony of a row of mailboxes, each gazing ball reactivates and intensifies familiar scenes, whether from legend or the everyday. 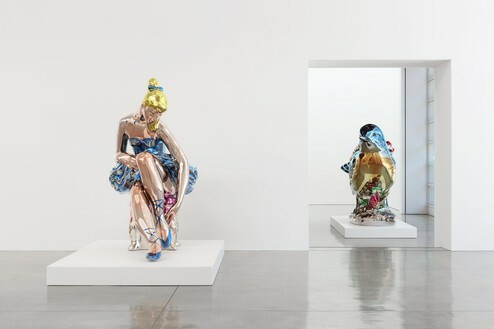 The Celebration sculptures—as well as later works that expand upon their visual dialogue—made with mirror-polished stainless steel coated in layers of transparent color, epitomize Koons’s ongoing fascination with childlike consciousness and communication. 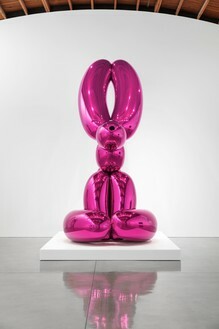 Sacred Heart (Blue/Magenta) (1994–2007) magnifies the excitement of receiving a lavishly wrapped gift, and Balloon Rabbit (Magenta) (2005–10) transforms a balloon animal into a towering wonder of reflective curves. Mirror-polished voids swell to a giant scale, their converging twists and contours drawing the gaze toward multiple vanishing points. 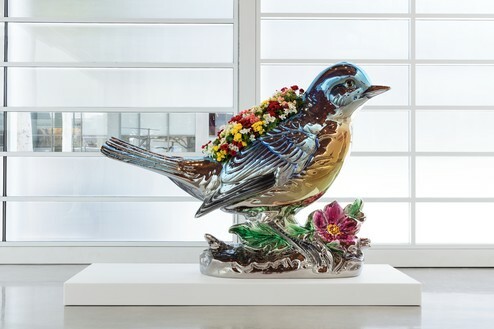 The sculptures conflate the readymade and the monumental, transforming humble objects into abstract symbols of transcendence and the biological, reflecting and affirming viewers and their environments. 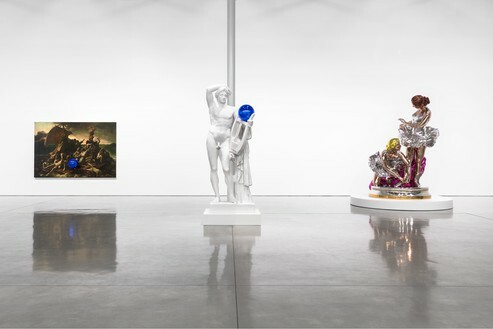 In Ballerinas (2010–14), from the Antiquity series, Koons depicts figurines of dancers, derived from decorative porcelain, at the imposing scale of classical sculpture. Their delicate details and subtle color gradations, rendered in luminous, transparent color, present—somewhat paradoxically—as lessons in immaterial abstraction. 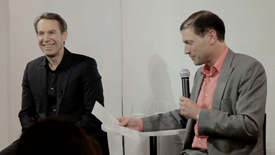 The FLAG Art Foundation hosted a conversation between Jeff Koons and FLAG founder Glenn Fuhrman, in which the two discuss the dichotomy between sexuality and childhood innocence in Koons’s oeuvre, remaking Made in Heaven with Lady Gaga, what drives Koons to make more work, and several works including Cat on a Clothesline (1994–2001) and Winter Bears (1988). 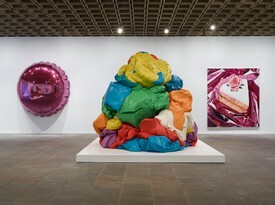 Derek Blasberg speaks with Scott Rothkopf, a curator at the Whitney Museum of American Art, about the last thirty-six hours of the Jeff Koons retrospective, which also marked the end of the museum’s tenure in uptown Manhattan. 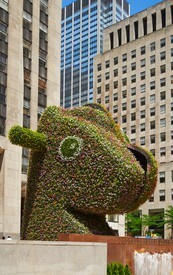 Jeff Koons’s flowering sculpture Split-Rocker, at once imposing and adorable, has cast a spell on New York City’s Rockefeller Center. 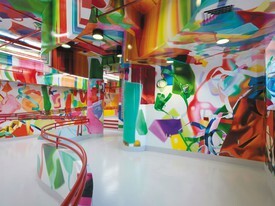 Derek Blasberg interviews Matt Donham, Koons’s landscape designer on the project, to find out more.